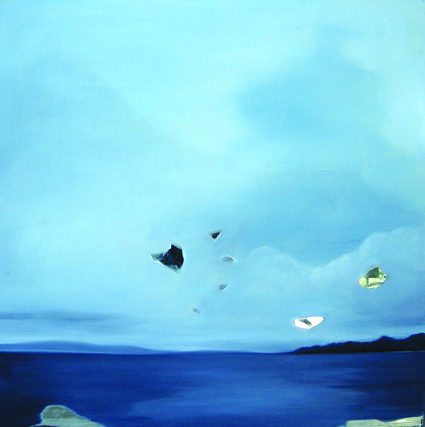 Prolific local painter Rachael Freeman is currently on show at CCAS Manuka. Through an impressive array of new works Freeman demonstrates that her signature landscape/abstraction hybrids are continuing to evolve, yet remain as luminously captivating as ever. In a departure from the moody ominousness of earlier series, this latest body of works feature shards of colour and are heavy in references (both obvious and oblique) to light, flight and the open sky. As such, Elevate is graceful, transcendental and humming with the thrill of possibility and (apologies to Kundera) an intoxicating lightness of being.